حين قمنا بإلغاء أو تأجيل دورة روزنامة السادسة والتي كان من المزمع إقامتها في نوفمبر ٢٠١٧، وبالمشاركة مع لجنة تحكيم تلك الدورة، تم إصدار بيان يوضح حيثيات إلغائها. وقد تفاعل مهرجان وسط البلد للفنون المعاصرة D-CAF مع هذا البيان حيث أن المهرجان يهتم بتطوير الأعمال الفنية على الساحة المصرية و تشجيع الفنانين والفنانات المصريين. و من هذه النقطه بدأت المحاورات مع مدرار و دي كاف للوصول إلى إتفاق لبدء هذا التعاون. سعدت مدرار بهذه الدعوة من قبل المهرجان لتنسيق برنامج الفنون البصرية لدورة عام ٢٠١٨، والذي يرتكز على بعض المحاور التي تم طرحها مؤخراً من الفنانين والفنانات في إطار نقاش بين المتقدمين لروزنامة وحوار مفتوح تم في نوفمبر ٢٠١٧. بناء على ذلك تم دعوة أحمد بدري، ومحمد عبدالكريم، ونور الصافوري، لمناقشة وتطوير مقترح برنامج الاستوديو، الممتد لستة أشهر ويوفر لمجموعة من الفنانات والفنانين الشباب المصريين أماكن عمل وإطار نقدي ونظري وانتاجي. يتضمن البرنامج سلسلة ممتدة من اللقاءات الفردية والجماعية والعروض ومجموعات العمل، وزيارات من فنانين وأكاديميين، إلى جانب منحة تفرغ لكل مشارك ومشاركة. يعتمد البرنامج على عدة مسارات تتقاطع فيما بينها، تتناول المسارات موقع الفنان/نة فيما يحيط به/ا من مكونات ذات صلة باللغة والمادة، والتاريخ، والعمل، والسلطة وانتزاع مفاهيم مثل الجمال والاصالة والفرادة من سياقتها المألوفة وإعادة تشكيلها داخل سياقات عملية فنية استقصائية. على مدار ستة أشهر سوف ينخرط الملتحقين بورش ومجموعات عمل ممتدة بطول البرنامج يُمارس فيها عدة وسائل بحثية كما الكتابة والمشاهدة والاستماع والتذوق والتشكيل والحركة. بجانب لقاءات فردية مع استشاريين خارجيين ومتابعين داخليين وجولات وزيارات ميدانية. يتخلل المدة ثلاثة لقاءات نقد جماعي يشارك فيها متخصصين مدعوين يتناول فيها الحضور مشاريع المشاركين. بدأت‭ ‬هند‭ ‬فى‭ ‬2016‭ ‬المشاركة‭ ‬فى‭ ‬الفاعليات‭ ‬المحلية‭ ‬والدولية،‭ ‬عرضت‭ ‬مشروعها‭ ‬التجريبي‭ ‬الأول‭ ‬‮«‬إحسان‮»‬‭ ‬بالمعرض‭ ‬الجماعى‭ ‬‮” ‬Mobili-té-tät-tà-ty”‭ ‬بسويسرا‭ ‬فى‭ ‬روزنامة‭ ‬5‭ ‬ الحلقة‭ ‬الأولى‭ ‬من‭ ‬مشروعها‭ ‬‮«‬ألعاب‭ ‬للكبار‮»‬‭ ‬،‭‬ثم‭ ‬تجهيز‭ ‬فى‭ ‬الفراغ‭ ‬بالتعاون‭ ‬مع‭ ‬فنانتان‭ ‬أخريتيين “المتاهة‭ ‬التى‭ ‬لا‭ ‬تشبه‭ ‬المتاهة‮”‭ ‬بمشروع‭ ‬من‭ ‬المهمل‭ ‬الى‭ ‬الثمين‭. ‬عُرضت‭ ‬أعمالها‭ ‬الفيديو‭ ‬بالنسخة‭ ‬الثامنة‭ ‬من‭ ‬مهرجان‭ ‬القاهرة‭ ‬للفيديو‭ ‬ب‭ ‬2017،‭ ‬ومهرجان‭ ‬ماداتاك‭ ‬بمدريد،‭ ‬أسبانيا‭ ‬2018،‭ ‬أيضاً‭ ‬تعاونت‭ ‬مع‭ ‬الفنانة‭ ‬كلير‭ ‬لينمي‭ ‬على‭ ‬مشروع‭ ‬تم‭ ‬عرضه‭ ‬بمعرض‭ ‬لينمي‭ ‬الشخصي‭ ‬بسويسرا338‭ ‬Kairo. ولدت‭ ‬فى‭ ‬القاهرة‭ ‬سنة‭ ‬1990‭ ‬م‭ ,‬فنانة‭ ‬بصرية‭ ‬تجريبية‭ ‬مهتمة‭ ‬بالفن‭ ‬المعاصر‭,‬تخرجت‭ ‬من‭ ‬كلية‭ ‬الفنون‭ ‬التطبيقية‭ ,‬قسم‭ ‬الديكور‭,‬2012‭ ‬شاركت‭ ‬فى‭ ‬العديد‭ ‬من‭ ‬المعارض‭ ‬داخل‭ ‬وخارج‭ ‬مصر‭ ‬و‭ ‬حصلت‭ ‬على‭ ‬الجائزة‭ ‬الأولى‭ ‬لمسابقة‭ ‬روزنامة‭ ‬2015‭ ‬و‭ ‬جائزة‭ ‬معرض‭ ‬خاص‭ ‬لصالون‭ ‬الشباب‭ ‬لنفس‭ ‬السنة‭. In November 2017, Medrar, in collaboration with jury members, issued a statement explaining the reasons behind the cancellation of the sixth edition of the Roznama competition. D-CAF responded to the statement by inviting Medrar to structure its visual arts program in 2018. The conversations between Medrar and D-CAF built on a shared interest to support Egyptian artists and facilitate the existence of more spaces for sustainable artistic production within our shared local contexts. Medrar was delighted by D-CAF’s invitation and took it as an occasion to revisit some of the ideas, frustrations and concerns aired in an open house discussion that brought together applicants from the cancelled Roznama competition this past November. These discussions were the main motivation for suggesting the Roznama Studio program. Ahmed Badry, Mohamed Abdelkarim, and Nour El Safoury have been invited by Medrar to design and run the program over a period of six months. Fellows in the program, will engage together in a space that aspires to contextualize artistic practice within a critical, theoretical framework that supports the making of new projects. The program is structured around a series of individual and group exchanges, working groups and visits from and to artists and academics. It supports production and defrays some of the costs entailed in participating through offering a symbolic scholarship and studio working spaces. The program relies on several intersecting lines of inquiry. Together, they explore the situatedness of the artist within her or his surrounding environments and contexts including matters such as language and material, history and power, and notions around labour and art. We will re-question aesthetic concepts such as beauty, originality, authenticity and uniqueness by appropriating them within a speculative, and investigative, artistic process. Over the period of six months, participants will engage in a number of activities that intersect with and feed into the artistic process. These include writing, watching, listening, tasting, moving,experimenting with materials and site visits. The program includes both internal collaborators who will work together throughout the period of the program as well as a group of external advisors whom every participant will consult throughout the six months. Two group criticism sessions, to whom different visitors will be invited, will form the structuring backbone of this program and give it direction. Hend Moaaz, an Egyptian contemporary visual artist, her work is based on research; depending on creating virtual relations between different elements in past and present, using direct and shocking contents. 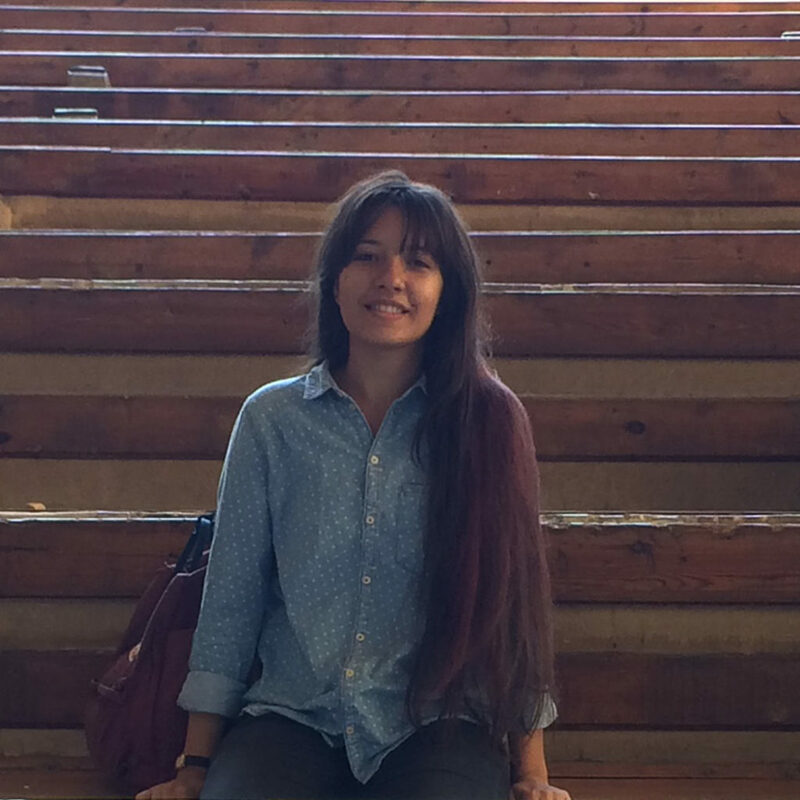 Beside her certification in PMP; Hend studies fine arts, art history and anthropology at Faculty of Art Education-Helwan University.She exhibited her first experimental project “Ehssan” as part of the 2016 group exhibition “Mobili-té-tät-tà-ty” in Switzerland. Moaaz presented the first episode of her “Adult Toys” project as part of Roznama 5 and collaborated on an installation entitled “A Maze that is not like a Maze” in the “From Rages to Riches” project, also in Cairo. Her videos were screened in the 8th Cairo Video Festival in 2017 and the MADATAC Festival in Madrid, Spain in 2018 and she collaborated with artist Claire Liegnme on a project that was displayed in Liegnme’s solo exhibition “338 Kairo” at Galerie Paul Bovée in Switzerland. 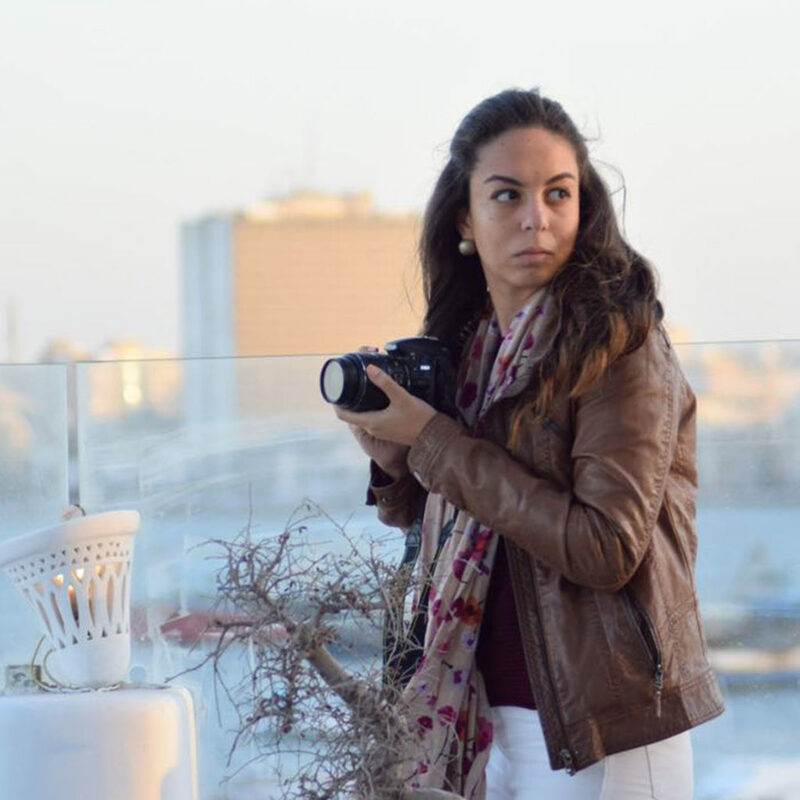 Esraa Elfeky is an Egyptian visual artist, video editor, and social media strategist. She has worked at renowned cultural and media institutions, both in Cairo and Dubai, including MedrarTV, Cairo Cartoon Animation Company, and Diwan Videos. 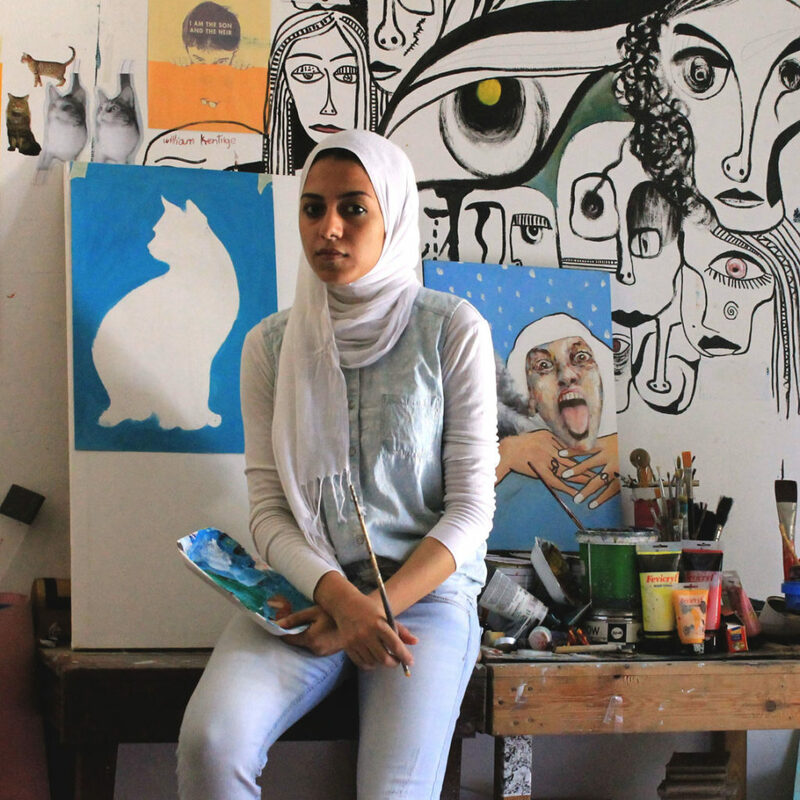 In 2011, Elfeky received her BA from the Faculty of Art Education of Helwan University and has since then been heavily involved in Cairo’s contemporary art community. Most recently, Elfeky was awarded the Salon Prize of Egypt’s 27th Youth Salon Competition and exhibited her work in Ireland, Poland, and Sweden. 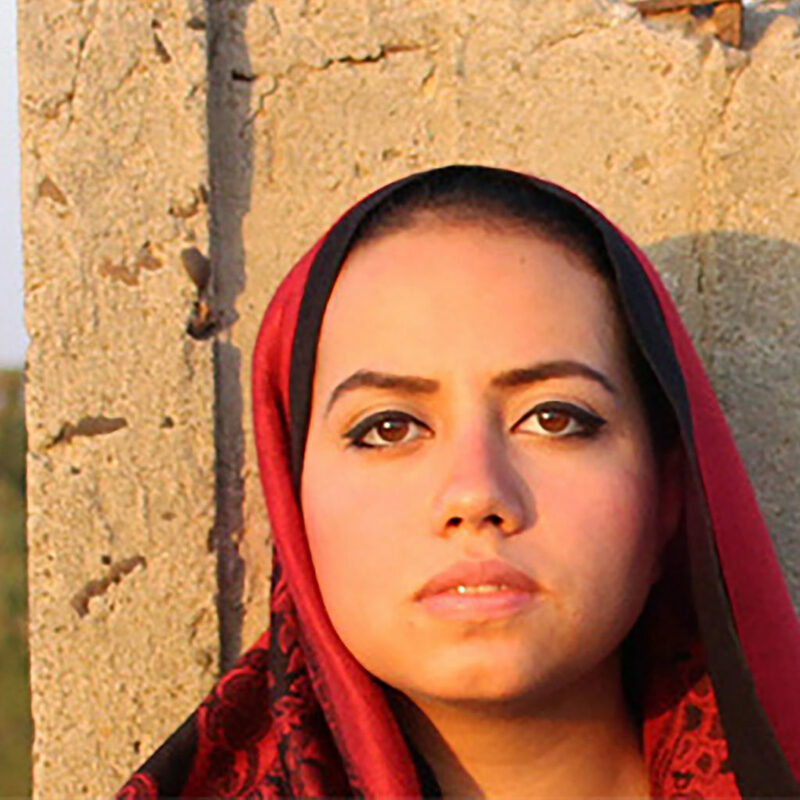 Elfeky currently resides in Cairo and devotes the majority of her time to developing her artistic techniques and furthering her career as a video editor. 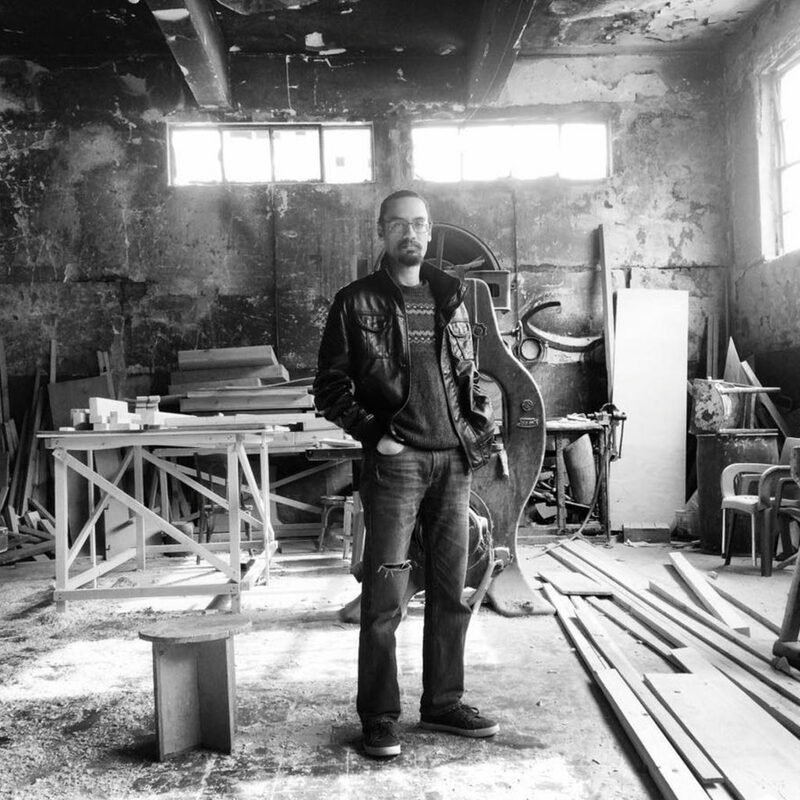 Mohamed Ismail Shawki is a Cairo-based visual artist who works with a variety of mediums, including installation and photography; he has also been an active street artist since 2010. During this time he also began working and volunteering in arts and cultural development. Shawki participated in a number of group exhibitions, such as Roznama 4, Roznama 5, Oshtoora festival of music and arts, and in the Simon Njami-curated show Something Else at Darb1718, as part of the first edition of the OFF Biennale Cairo. The Cairene street scene, both in context and in content, heavily inspires Shawki’s artistic practice. 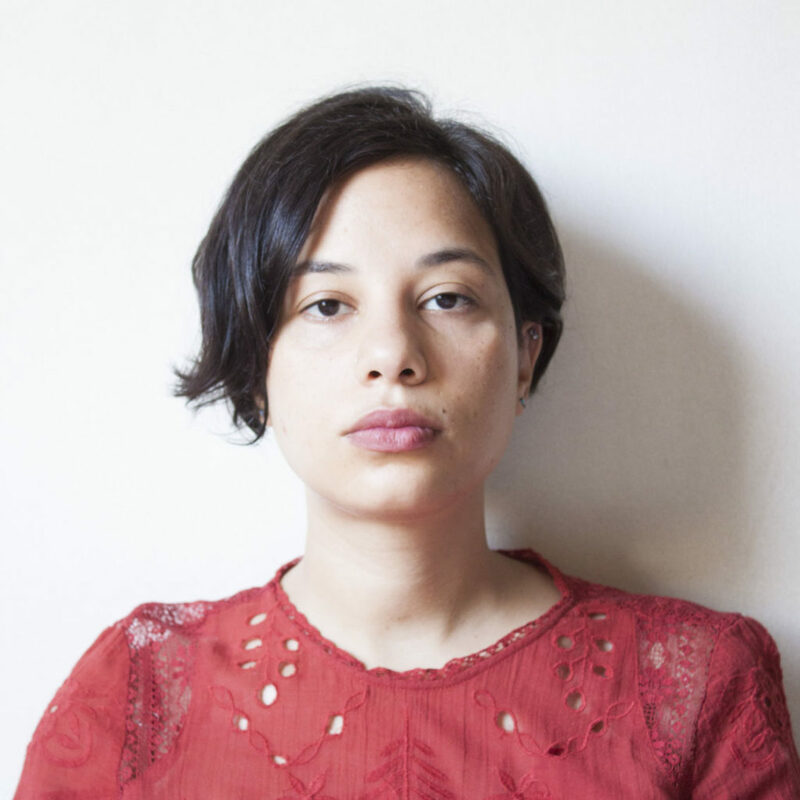 Shadwa Ali is an Egyptian audio-visual artist. She graduated from the Faculty of Fine Arts at Alexandria University with a degree in printmaking and studied film-making at the Jesuit Film School in Alexandria. Her mediums of choice include printmaking (linocut and digital print), installation, video, and sound. Ali has participated in art workshops such as Noisy Mechatronic Objects at the Faculty of Fine Arts, in collaboration with six French artists from L’École Supérieure d’art Aix- en-Provence, “Open Bridge” in collaboration with WOOSHING MACHINE and El Madina studio, and Training of trainers in the field of sound and music at the Arab Digital Expression Foundation. Ali has exhibited her work in group exhibitions, including Roznama 5 at Medrar, Interruption at Townhouse, both in Cairo, at the 23rd & 25th Annual Cairo Youth Salons, and Agenda & First Time, organized by the BA Art Exhibitions and Collections Department of the Bibliotheca Alexandrina. Engy Mohsen is a visual artist who is currently studying architecture. Her academic pursuits inform her artistic practice, alongside experiments with painting, printing, photography, collage, video art, graffiti, and comics. Mohsen’s work began with a focus on identity and self- portraits but soon developed toward various forms of participatory art, including social experiments that involve other people. Her projects question the ownership of notions that are conceived in other people’s minds, which she then distorts to form artworks of her own interpretation. Mohsen’s work has been shown in group exhibitions at major venues in Cairo, London, and Beirut, including Medrar for Contemporary Art, The Palace of Arts, American University in Cairo, American University of Beirut, Bibliotheca Alexandria, NVIC, Photopia, and Markaz. 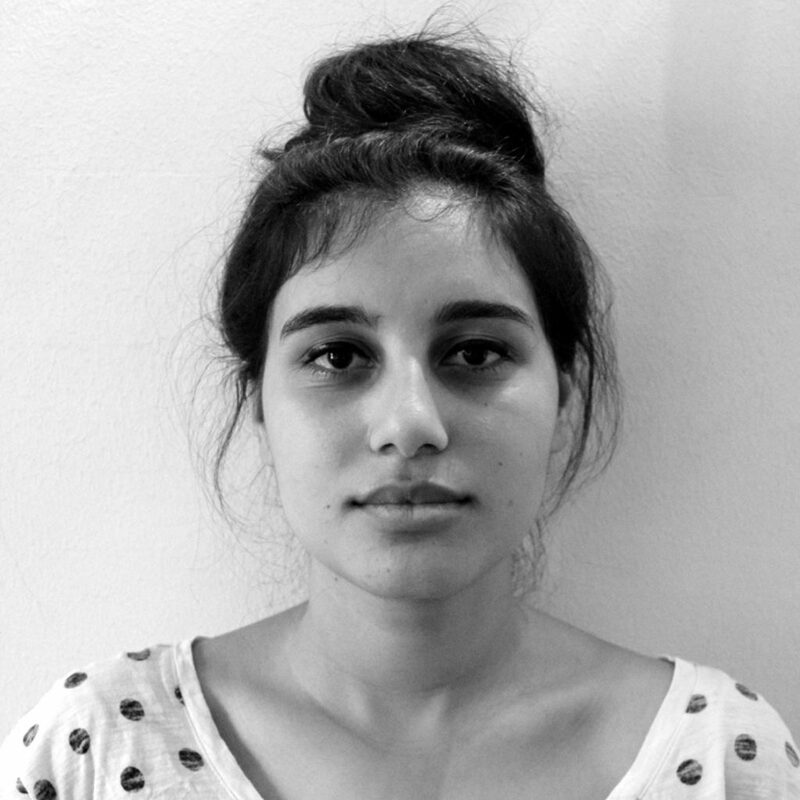 Malak Shenouda studied visual art and sociology at the AUC. Her work varies between archival research, curating, writing, and organizing art-related events. 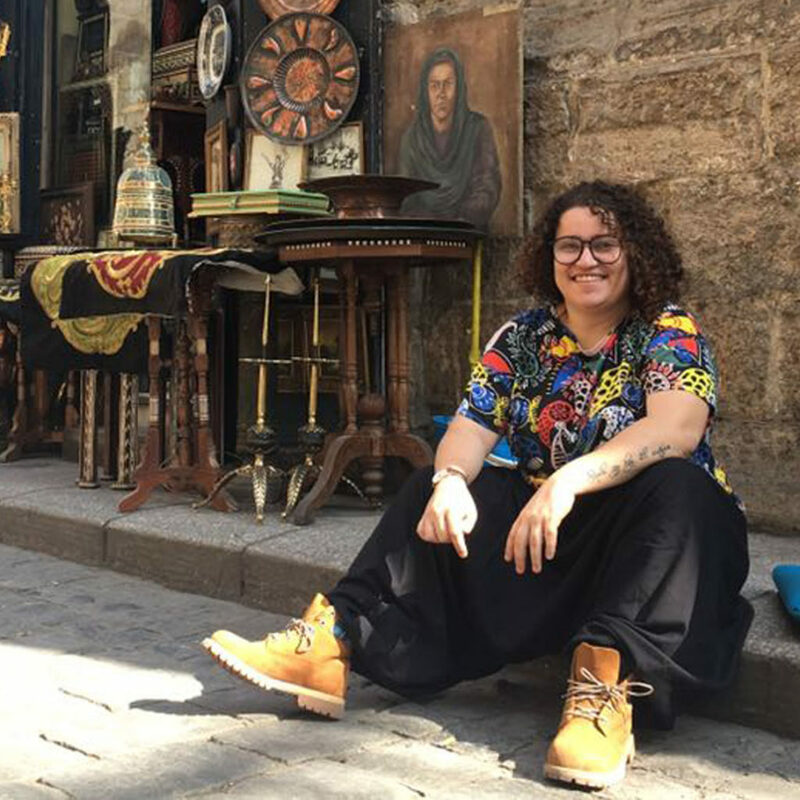 She has worked with fellow artists, curators, and cultural initiatives in Cairo, London, and Berlin and has exhibited with the curators Shady El-Noshokaty, Heba Amin, Moataz Nasr, and Karim El-Hayawan. In 2016, Shenouda exhibited her project Urban Poises both in the online exhibition Artist Notebooks by Lettra27 and at the AUC’s Experimental Animation Screening. She also participted in the photography festival Cairographie at Darb1718 and in AUC’s visual arts graduation exhibition Please Do It Again, both in 2017. 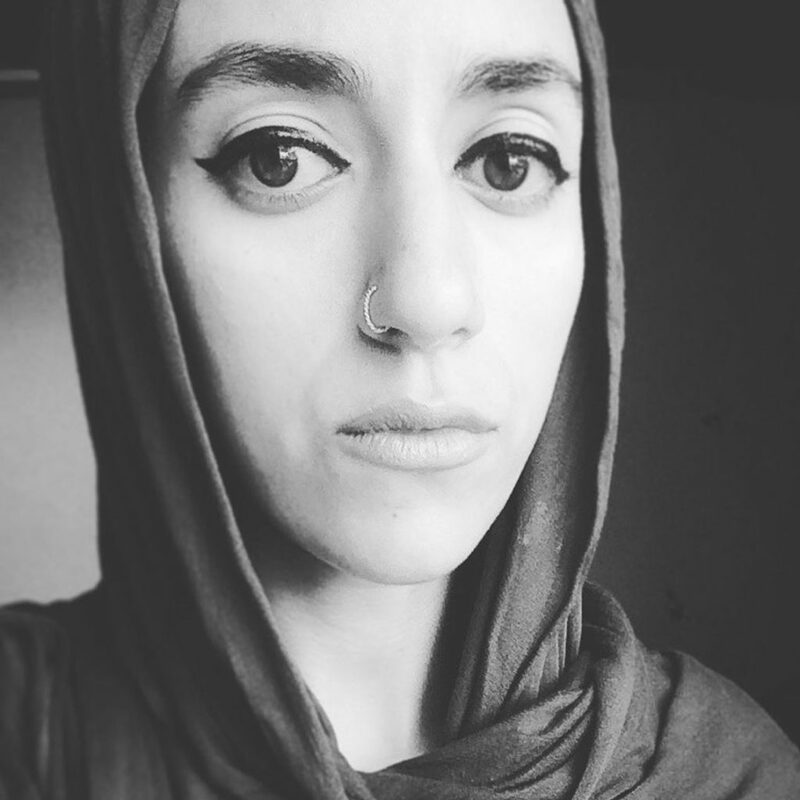 Shenouda conducted archival and on-field research for a German author and documentary maker, was part of the D-CAF team in 2017, and worked in the Berlin Film Festival in 2018. She is currently affiliated with art consultants Art D’Égypte. Hadya Mahmoud is a visual artist who graduated with a degree in interior and furniture design from the Faculty of Applied Arts at Helwan University in 2012. She works with various mediums and is distinctly interested in contemporary art. Mahmoud participated in various exhibitions both in Egypt and abroad and is the winner of Roznama’s 4th edition competition in 2015. That same year she was also awarded a prize for her solo exhibition at the 26th Annual Youth Salon at Cairo’s Palace of Arts. Aya El Sayed is a self-taught photographer with a background in pharmaceutical science. She has taken part in a number of photography and art workshops. Her participation in group exhibitions include the 28th Annual Youth Salon at the Palace of Arts in Cairo, Shadows of the Imperceptible as part of PhotoCairo 6, Roznama 4 at Medrar, and the third edition of Naema’s Office Is Bleeding, an exhibition of selected works from a collage and painting workshop of the same name, led by artist Hany Rashed, also at Medrar. Mariam Hamdy is an Egyptian artist and visual arts senior at the American University in Cairo. Her interest in art began when she was awarded with a gold medal in the Kshitij International Child Art Exhibition at the age of nine. Throughout her studies and artistic endeavors, she began to take interest in social issues, in general, and feminist issues specifically. She’s also inspired by the work of Marina Abramovic. 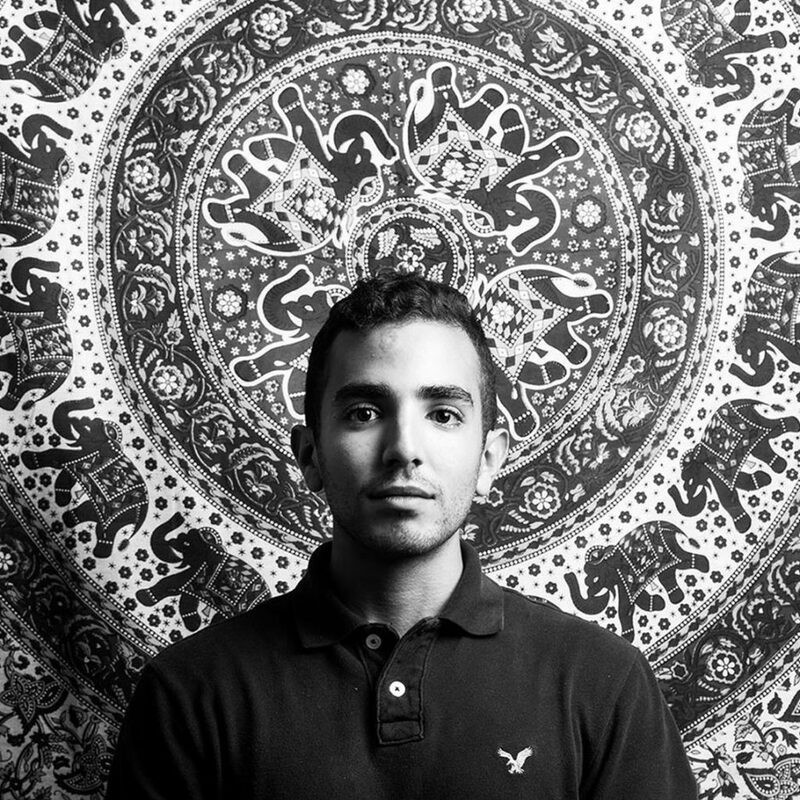 Hamdy’s favorite mediums include photography, performing art and installations. Through her art, she aims to provoke and question various social norms and “okays”, as well as, create discussions on topics that are sometimes taken for granted and/or tabooed. Marwan El Gamal is an Egyptian artist with a BA from the American University in Cairo and an MFA in painting from the Frank Mohr Institute in Groningen, the Netherlands. His interdisciplinary practice spans painting, animation, and text. El Gamal’s interest in the loss of the familiar is expressed through both imagined storytelling and alternate remembrance and seeks to explore coherent narratives of identity of the self and society, specifically by disrupting these anchor points of recognition. El Gamal’s work has been exhibited in Egypt and the Netherlands.